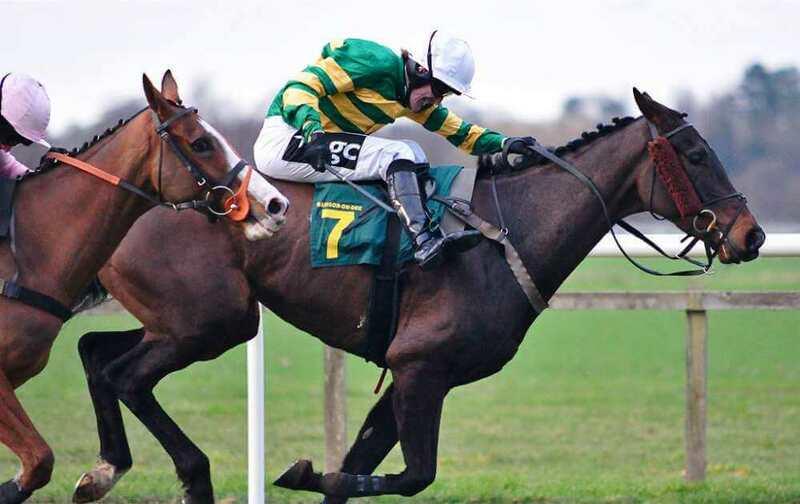 Get a full analysis of the 2010 Grand National won by AP McCoy on Don’t Push It. A full list of all Grand National Results can be found here. Try your luck and bet on the 2019 Grand National here! The Grand National rarely fails to provide a fairytale ending. But even by these standards, this years renewal delivered a feel good factor scarcely matched. It rivalled that experienced by those lucky enough to witness the victories of Red Rum in 1977 and Aldaniti four years later. But brave and heroic as Don’t Push It’s exploits were here, this victory was all about the man on board. At last Tony McCoy buried once and for all the demons that have haunted his efforts to win this race. He spent the past fourteen years trying to claim the one prize missing from his extraordinary CV. It was one of those races where it didn’t matter if you’d backed the winner or if your horse had fallen at the first (like Erics Charm). Instead, the 2010 Grand National was the sort of triumph that everyone could revel in. There was scarcely a dry eye in the house when the JP McManus owned ten year old crossed the line in front. Even the stony faced McCoy looked close to tears returning to the enclosure with cheers ringing out right across Aintree. Rarely could there have been a more universally popular winner. Not only is Don’t Push It’s jockey the greatest pilot we’ve ever seen, his owner is the biggest financial contributor to the sport. Also, his trainer is just about as honest and decent a man as you could wish to meet. However, we shouldn’t forget the horses exploits in all of this. Don’t Push It has been a big race winner waiting to happen for some time now. The unique demands of this contest finally unlocked the potential that came to light in the 2008 Arkle. He looked likely to triumph when suffering a fall. He had also given the mighty Denman a run for his money in a novice chase earlier that season. There was no fluke about this success either as he had the rest of the field well strung out at the finish and could be called the likely winner some way from home. Indeed, for once in this race, McCoy had pretty much a trouble free passage throughout. The only slight moment of worry was when Don’t Push It made a minor error at the 26th, but he soon recovered his momentum and still hadn’t been asked for everything when upsides Black Apalachi jumping the last. A fine leap there saw him take the lead and he briefly looked set to win in style, but one suspects he’s a bit idle and his rider had to get serious with him to hold off the runner-ups persistent challenge. Given the impressive nature of the victory it would be no surprise to see him come back here in 12 months time and put up a bold show in defence of his crown. Black Apalachi will surely be back for more too. His connections would have to be hopeful of reversing the form if they get softer ground in 2011. Their horse was just tapped for toe when the winner made his move at the last. However, the runner up lost little in defeat. He had been in the firing line, helping to force a decent gallop, showing remarkable courage to keep battling all the way to the line. Black Apalachi has shown his love for the course in the past and the same is true of the horse that finished third here, State Of Play. Evan Williams charge was a respectful distance behind the front two, but improved one place on his fourth last season. He clearly goes best fresh as he’d had only one other start this campaign before todays race. However, he never really looked like getting into a winning position having failed to latch on to the group who got a break on the field around six out. He’ll also no doubt be back again for more next year. Big Fella Thanks was in that breakaway group. By claiming fourth place here, he too improved on his effort last season’s sixth. But his stamina gave way after the third last and connections can only hope his ability to stay extreme distances will increase with age. He is still only eight. By contrast, it was a relative veteran, the 12-year-old Hello Bud, who finished fifth. He was another to be up with the pace throughout. But he also weakened at the business end of proceedings, which was surprising given his victory in last seasons Scottish National. Apart from the winner, the recurring theme amongst the horses was that they have all run well in the National itself. That trend was continued by Snowy Morning, in sixth. The Willie Mullins trained gelding was third in 2008 and ninth last year. Although he never looked like winning here, he is fast becoming something of a course specialist. For Character Building, this was his first sight of the Aintree fences. Many thought that this quirky individual would be suited to the unique test they present and in many ways he was. He was ridden out the back and was given too much to do. In fairness to his jockey, the horse probably didn’t jump as well as he could have over the first few obstacles. He got behind early on as a result. Of the rest that finished, Cloudy Lane was never competitive. He has probably missed his chance of winning as his handicap mark has gone up markedly since he was favourite in 2008. The winner that year, Comply Or Die, could never land a blow either and was a well beaten twelfth. As always, there were plenty of hard luck stories amongst those that failed to complete. With next years race in mind, the performances of Backstage, Maljimar and Arbor Supreme are worth remembering. All were travelling well when coming to grief. Backstage, in particular, was still going nicely on the hooves of the leaders when hampered by a loose horse and unseating his rider at the 20th. The well fancied Vic Venturi was also out of luck as he was badly hampered at the first. He had just fought his way back into contention when he was interfered with at the same fence and lost his rider. For more recent race reviews, see our Grand National 2018 Results page.